Since the creation of Delta State in 1991 and a return to full democracy in 1999, PDP has remained at the helm of affairs in the State. They have seen the baton of the State's leadership exchange hands between Chief James Ibori, Dr Emmanuel Uduaghan and Sen. Ifeanyi Okowa, the incumbent governor. The emergence of the past governors of the State and the incumbent governor meant one man was constantly at the losing end - Chief Great Ovedje Ogboru. 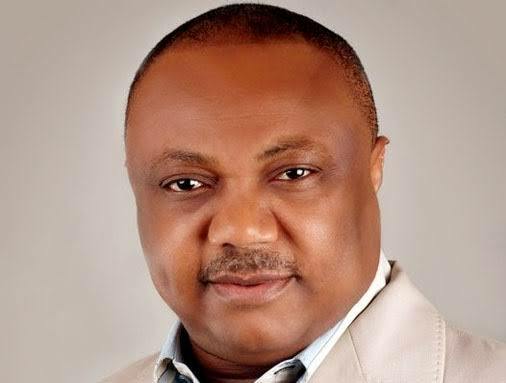 Although it emerges Ogboru did not lose all of the elections he contested in but was robbed of victory because of national support for the then ruling party (PDP), at the centre. The PDP struggle by every available means to capture and consolidate power was embodied in the party's mastery of the rigging act, the intimidation of voters, vote buying and violence. The PDP got away with what they wanted with the backing of the federal might wielded by the party. All these made the party invincible for more than a decade. However, in 2015 the narrative changed. The PDP were roundly defeated by the APC albeit not without the support of some notable PDP decampees. Today, most of the PDP stalwarts blame former President Goodluck Jonathan for betraying the PDP ideology of ‘retain power at all cost’. Despite the enormous pressure on Dr Jonathan to hold on to power against the popular will of the masses, the former varsity lecturer did the honourable thing by congratulating the President-elect, General Muhammadu Buhari and subsequently handed over the helm of affairs of the nation to him. The PDP much bragged about capacity to retain power for a century, at the national and state levels, was eroded. 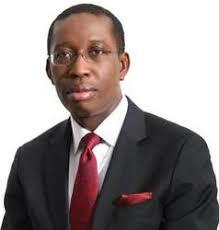 Dr Ifeanyi Okowa, the incumbent governor of Delta State, benefitted from the PDP domineering tendency as he strolled to power as the governor of the State in 2015. Again, this was not without the election irregularities in the State that is the sine qua non of the PDP. However, it is no surprise that the APC, led by Adams Oshiomole, earmarked Delta State as one of the States the APC must win, in 2019. The goal is to erode the structure of the PDP in the State. Delta State is perceived to be one of the pillars of the present PDP. The party won more than 85 percent of elections contested in 2015. Gov. Ifeanyi Okowa knows, without an iota of doubt, that he faces a tougher battle in 2019. The indicators are clear enough. Of note, Okowa goes against Chief Great Ovedje Ogboru, the popularly known People's General whose adversaries in the previous contests now allege that he had been rigged out of the past electoral contests. An ex-Speaker of Delta House of Assembly, Rt. Hon Emmanuel Igbuya ascertained that “It is true, Ogboru has been winning all governorship elections in Delta State”, as reported by Vanguard, when interviewed by newsmen. Interestingly, Ogboru now enjoy the support of these power brokers in the State and a major political platform, the All Progressives Congress (APC) to pursue his gubernatorial ambition. Of the many years Ogboru contested the governorship elections against different PDP candidates, he did so with the little support of the real political juggernauts. However, it is entirely a different game in 2019. The Delta State chapter of the APC recently inaugurated its campaign council with Dr Emmanuel Uduaghan the chairman. In his brief remarks, Uduaghan said: “Chief Great Ogboru was not Governor in 2015 because he doesn’t know road”. This statement elucidates the uphill battle Okowa faces in the coming weeks. Interestingly, the Uduaghan-compass might be a veritable tool that could have the most significant impact on the outcome of the 2nd March Gubernatorial Election and guide Ogboru to victory. The question remains, however, what will be the Uduaghan-compass? Would it be to implore the FG to deploy its arsenal against the incumbent governor? Perhaps it would be to checkmate the PDP rigging machineries headlong so that the party's illegal maneuvering of election outcomes is put to an end in the State. Whatever the case is, would Okowa pay the price for PDP jockey? Antonio Conte is on the brink of getting his man as there emerges strong indications that Brazilian left-back has been cleared to join Chelsea FC in the January transfer market should he opt for a move. Juventus' Alex Sandro, who has remained a target of Conte, is believed to be free to switch the Turin club for Stamford Bridge should he indicate his future lies somewhere else according to Juve director Beppe Marotta. Marotta notes that "when a player asks to be sold, regardless of prestige or importance to the team, we are in favour for a sale". With the Sandro eager to link up with Antonio Conte at Chelsea, the Blues fans should be certainly excited as the Brazilian would definitely fit into the wing-back role at Chelsea bringing some sense of defensive and attacking solidity to the side. Contrary to a publication making the rounds on social media that Dr Ibe Kachikwu, the Honourable Minister of State for Petroleum Resources is “sitting on the fence” as relates to the affairs of the All Progressives Congress (APC) in Delta State, we wish to address the general public on this deceitful allegation against our principal. For clarity sake, it is important to correct the misrepresentation of facts about the role of the Honourable Minister in building a formidable party in Delta State vis-a-vis his contributions to the reelection of President Muhammadu Buhari and other APC candidates. A chieftain of the All Progressives Congress in Delta state, Chief Engr. Hyacinth Enuha has congratulated President Muhammadu Buhari, his Vice, Professor Yemi Osinbajo, members of the All Progressives Congress and all Nigerians at large over the successful conduct of the 2019 Presidential polls and the victory of President Muhammadu Buhari . In a statement signed by his media Assistant, Mr. Nnamdi Ofonye, the Delta North Leader of the party stressed that Buhari's victory, though a hard earned one has rewritten the political history of the country as no elite or individual could lay claim to having installed him but the masses unlike what it used to be in the past. Making a decision on perfect Valentine's day gifts for your girlfriend could be a little bit difficult regardless how long you'd known her or you both had dated. It is the same for couples who are legally married. The husband is left to ponder on which Valentine gifts to lavish on the wife. It is indeed a magical moment of love that you really wanna reignite the lovely passion you continually share. Obviously your goal is to get best romantic Valentine gifts for her and most often you want that to come as a surprise. But you do not know that Valentine's day romantic gifts to make her fall deeply in love with you, even more. I interviewed my best male friends on what Valentine's day gift ideas they had in mind to lavish on their girlfriends, and I got all sorts of funny replies. Recently Nigeria demanded an immediate restructuring and expansion of the UN Security Council (UNSC) permanent membership to correct the injustices meted out against Africa in the composition of the prestigious 15-member body. Whereas this call may sound morally right, what we must realize is that like freedom, power is not given, it is fought for. The UNSC permanent members represent the five great powers considered to be the victors of World War II. China, France, Russia, United Kingdom and the US are States that had vigorously developed and diversified their economies to transcend the global power hierarchy. These are States whose economic policies typifies the advancement in technology and improvement in their armaments. They are States who realize that power is the ultimate determinant in human society and implies the ability to defend one's interests and if necessary to impose one's will by any means available. The second week of competitive football in the new year produced mouthwatering performances across the European top leagues. In the EPL, Pep Guardiola's City were put to the sword at Anfield after 22 games unbeaten run while Barcelona continued with a resilient performance that earned them another win after conceding two goals against Real Sociedad. We assess and rate the best football team, the players or coaches who made the team and the ones who flopped. Jurgen Klopp is the first name on our list this week. The German did not only prove he could match the scintillating attacking football played by Man City but also showed tactical class to topple Guardiola in the EPL second leg tie at Anfield. Klopp's Liverpool were a joy to watch against the dominant City flyers. His team was set up to play an attacking game with swift flowing passes adding more glamour to the high pressing strategy adopted by the former Dortmund manager. Hennrikh Mkhitaryan is set to become an Arsenal football player in a swap deal that sees Alexis Sanchez head to the red half of Manchester. The Armenia captain was signed by Jose Mourinho, in the 2016 summer transfer window, to provide the creative spark that was much needed to rejuvenate the Old Trafford club, in order to compete at all fronts but especially in the EPL. Mkhitaryan's stay at Old Trafford has been cut short as the deal to join Arsenal is at best the best deal for him to get back to the level he played at Borussia Dortmund before Mourinho swooped for him. The debate, however, remains whether Mourinho is right to let the talented star leave Man United in the January transfer window. Or should Micki had been given more time to flourish at Old Trafford? Prior to his move to United, he was a creative force to reckon with in Europe. Muhammad Ali was handsome; a fighter and a religious man. He was a believer - he believed more in his abilities- and that, no doubt, set him out as a winner. Perhaps, the greatest lesson we can draw from the world boxing legend. Before that famous fight with Liston in Miami, Clay, as Ali was known before converting to Islam, in a pre-fight build up dubbed Liston "the big ugly guy" and boasted he would beat and donate him to the zoo. Many thought Clay's rant was out of fear as he faced a man who destroyed former "heavyweight champion Floyd Patterson in two first-round knock outs" but it turned out to be a show of believe. At the Age of 22, the man to be celebrated as "greatest human" shook the world and announced "I am the greatest." Clay had beaten Liston - a dominating fighter with a criminal past and ties to the mob - to be crowned the heavy weight champion in 1964. In what can be described as an unprecedented move by Mr Goodluck Jonathan, who is expected to handover power to the president elect, Gen Muhammadu Buhari, in a democratic exchange of baton between the domineering People's Democratic Party (PDP) and the emerging ruling party, All Progressive Congress (APC) billed for May 29th, 2015, the incumbent president continued to display his flamboyance of 'sportsmanship' and has extended his olive branch of peace to the president elect. Firstly, President Jonathan ensured that peace‎ was of essence over 'personal ambition' by swiftly telephoning his APC counterpart, Gen Buhari ,on his victory, whom triumphed in the March 28th hotly contested presidential election with over 3million votes. This move by Mr President practically saved the nation from an impending chaos. It is, therefore, a remarkable process of democratic consolidation in the country for which he must be applauded.